We believe private wealth has a role to play in shaping tomorrow’s world. Align17 connects you to direct investing opportunities managed by world-leading impact investors, generating returns for humanity. We are empowering a new generation of private investors to become catalysts for positive change. Align17 is a private, digital marketplace that brings visibility to the world’s best impact investment opportunities. It uses the UN’s 17 Sustainable Development Goals (SDGs) as a framework to present tailored opportunities to investors. Working with top institutional impact investors to source global investments, and third-party industry experts to vet them, it presents deals that both yield results and match the values of investors. Impact investing - or investing with the intention of generating a beneficial social or environmental impact alongside a financial return - is one of the fastest growing investment strategy in the world. 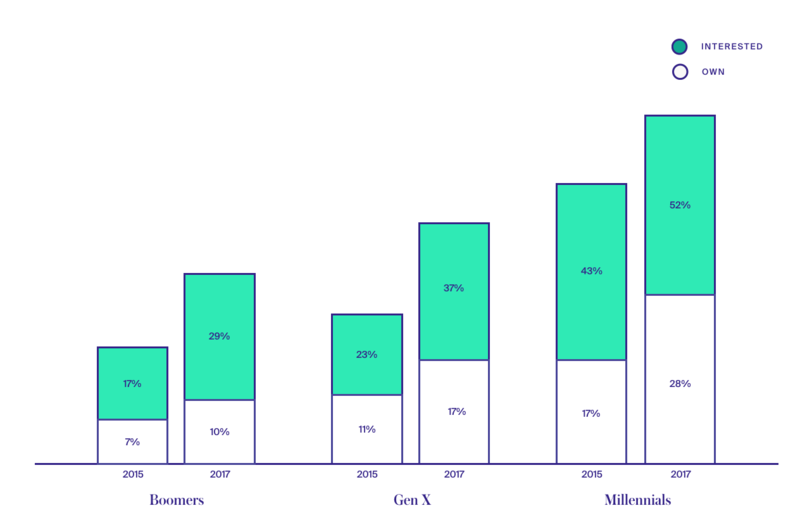 More than one-third of family offices already invest in impact investing, and the next generation is on trend to align values with their investments. However, if we are to achieve the UN Global Goals by 2030 we will require an estimated US$5-7 trillion annually. Align17 has been created to build a better more efficient partnership between private funds and purposeful impact investments. 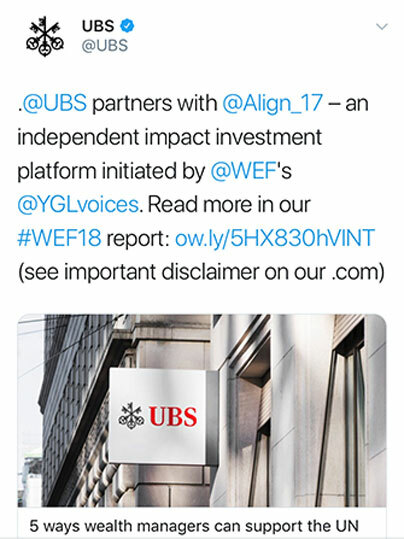 Align17 enables both the end investors and their supporting banks and wealth managers to access impact investment opportunities that match their values, creating lasting legacies and bringing about positive change. As well as seek to provide positive returns. The world’s private wealth has the potential to become a powerful catalyst for change. There is an increasing demand from wealth holders to access this area of investment, but the financial industry is not currently set up to efficiently support this at the speed and scale the world needs. Impact investment is growing at an annual rate of 120% – making it the fastest growing investment strategy in the world. It’s easy to see why. UBS, the largest global private client wealth manager, found that 82% of investors believe the returns of sustainable investments will match or surpass those of traditional investments. We are highly capable financial and technology professionals with an unparalleled global network. We are thoughtful, collaborative entrepreneurs who use our resources with purpose and imagination. We are looking for people who believe that only through radical collaboration we can realize the full potential of finance in the world. If this is you - Whether you are a private investor, family advisor or financial institution - let’s talk. Align17 Ltd (FRN: 806035) is an Appointed Representative of Prospect Capital Ltd (FRN: 515599), which is Authorised and Regulated by the FCA. Align17 Ltd is a limited liability company registered in England and Wales (11115802) with registered offices at 1 Silk Street, London, United Kingdom, EC2Y 8HQ.